your one source for the fusion of technology and learning. presenters, ask questions, and master new ed tech skills. popular classroom technology. Current certification tracks include G Suite (Google), SMART, Apple, Microsoft, and more. approval to use OPD to fulfill any required PD hours. your PD initiatives. Teachers can earn badges and track their individual success. conference, text chat, or email. Receive instant help when you need it. 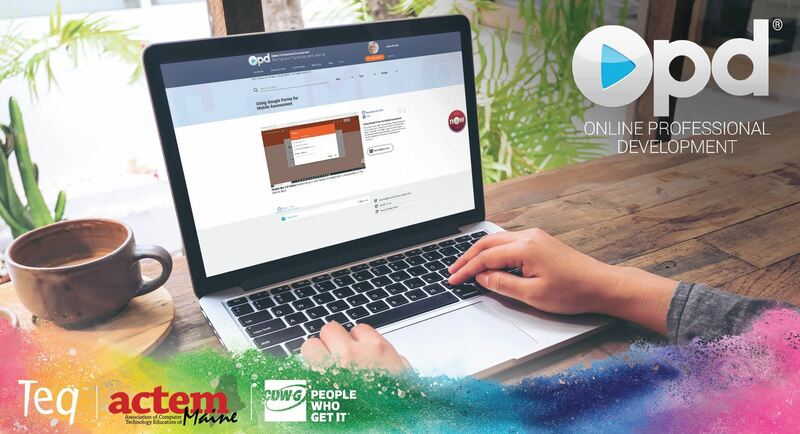 Sign up for a FREE trial and join the thousands of schools already benefiting from OPD! Call Christian Roberts at (877) 455-9369 x3165 or email christianroberts@teq.com to get started.